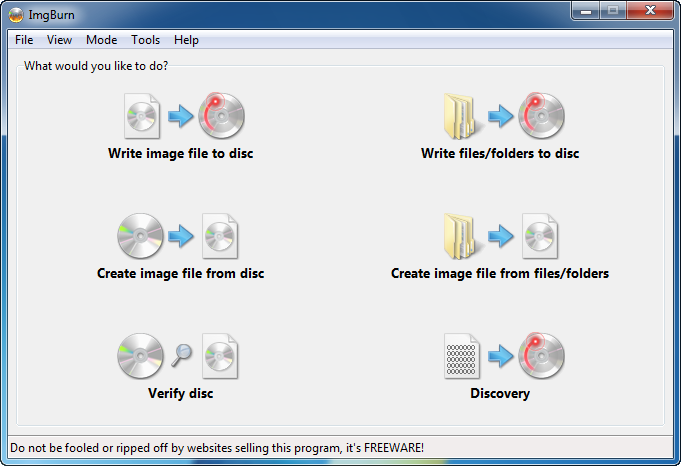 UnderCover10 (formerly UnderCoverXP) is a small program to easily print CD and DVD covers. It supports JPEG, PNG, BMP and GIF formats and can automatically scale front covers, back covers, front + inside, inlays, DVD Boxes, Digital Pictures and CD/DVD labels to the correct sizes. Other formats can be easily added via a graphical format editor. It crashes every time I click on "Edit Templates". DVDStyler is a DVD authoring system that lets you build menus, create backgrounds, add text/images/buttons, import MPEG video files and create chapters for each movie. Alternatively, DVDStyler Portable is available from PortableApps and X-DVDStyler from WinPenPack. Added possibility to play video from internal file browser. Fixed handling of files with multiple video streams (pictures, video thumbnails or cover arts). @Joe - did rev2 fix your issue, just wonderin'...? @Mike.S.G. - First of all, please accept my profound apologies for the very late reply. And yes, Rev2 fixed the issue, although I am on Rev4 now. @Checker - The uncompressed size of DVDStyler Portable is 64.8MB at moment. Please amend this listing accordingly. Thanks. ImgBurn writes most types of image files for CD, DVD, HD DVD and Blu-ray burning. It supports the latest writers (including booktype/bitsetting on many of the major ones such as BenQ, LiteOn, NEC, Plextor, Sony etc.). You can also ImgBurn to erase/format your rewritable media. Includes disc testing, verification (that files are exactly the same as those on the disc) and supports many world languages. I just extracted using uniextract (2. try: 7zip, same result). There is no $INSTDIR, only $PLUGINSDIR, SOUNDS and files imgburn.exe, imgburnpreview.exe, readme.txt. I suppose this altogether is equivalent to $INSTDIR ? At least it seems to work and afterwards the ini is 18KiB and it created dir "Log Files". I confirm that *fang-face* is right- the extraction of the latest version of ImgBurn (2.5.8.0) with Universal Extractor version 1.6.1 or with 7-Zip version 9.20 doesn't create any '$INSTDIR' directory. "Includes disc testing, verification (that files are exactly the same as those on the disc)"
Re verification: I'm not sure, but I think the program only verifies that the burned content is readable. I don't see the source drive active during this process.